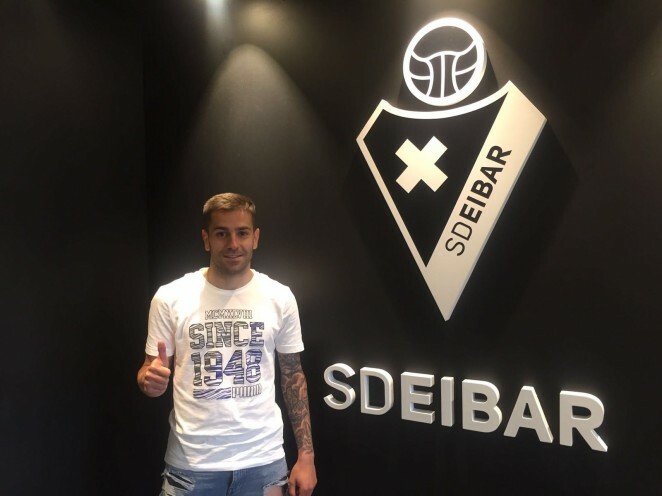 Rubén Peña, from CD Leganés, has today signed a contract with SD Eibar until June 2019. The Armeros have acquired all the registration and economic rights of the player, who has been one of the protagonists of CD Leganés’ promotion to the First Division and whose contract with the Madrid club expires on 30 June. Rubén Peña Jiménez, born in Ávila 24 years ago, plays on the right wing or as an inside forward. Last season he played 30 games and scored 8 goals. The Armero’s new player made his First Division début with Real Valladolid during the 2012-2013 season, during which he played four games. After a season with Guijuelo (Second Division B), he signed for Leganés, where he has played for two seasons, playing a total of 60 games and scoring nine goals, with eight of those coming between January and April of this year.